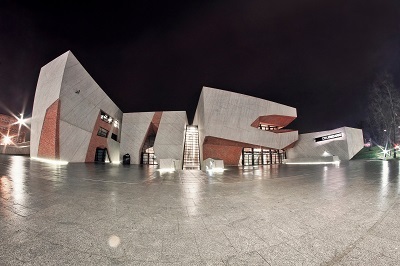 The 20th World Economics Conference of the Polish Diaspora will be held in the prestigious CKK Jordanki (Jordanki Culture and Congress Centre) in Toruń, at Aleja Solidarności 1-3. 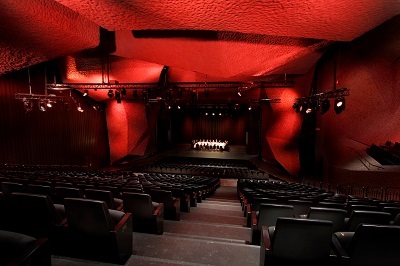 The Concert Hall is the largest and most unique event space at the CKK Jordanki. Its interior reflects the audacious concept of Fernando Menis, who, inspired by the medieval architecture of Toruń, combined brick (as a reference to the city’s history) and concrete (as a reference to modernity) in this very project. 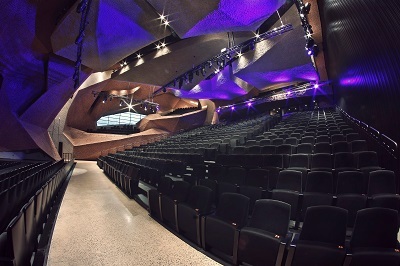 The mobile auditorium is arranged on several levels to create attractive viewing points. For outdoor concerts the main stage opens to a square located at the rear facade. Good acoustics is obtained owing to an innovative system of large mobile ceiling panels, The mobile auditorium is yet another innovative and multifunctional solution. It ensures that the space can be freely and flexibly arranged depending on the requirements. 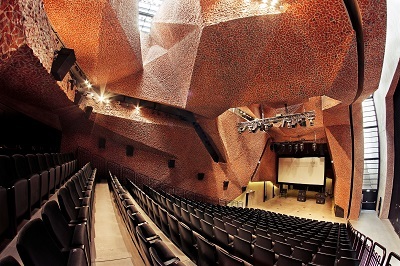 The Concert Hall can be joined with the Chamber Hall using a sliding wall. This large area is perfectly suitable even for big events. Ultramodern sound and lighting system and stage effects offer a powerful new way to organise all kinds of projects, including concerts of classical and pop music, theatre and opera performances, and musicals. It is also a modern and comfortable conference and exhibition centre.